Fashion month is now in full swing, and we've already noticed a few standout trends again and again on our favourite street style stars at the shows. From the must-wear bag styles to the prints destined to make a splash, there are plenty of ways to make an outfit truly stand out, even when the crowd around you is stylish. Below, we're highlighting a number of our front-runners that you'll want to copy over the next six months. And while you may not have a front-row seat, armed with an idea of the trends to watch out for, you can do a little shopping to make sure you've got what you need to pull off the look too. 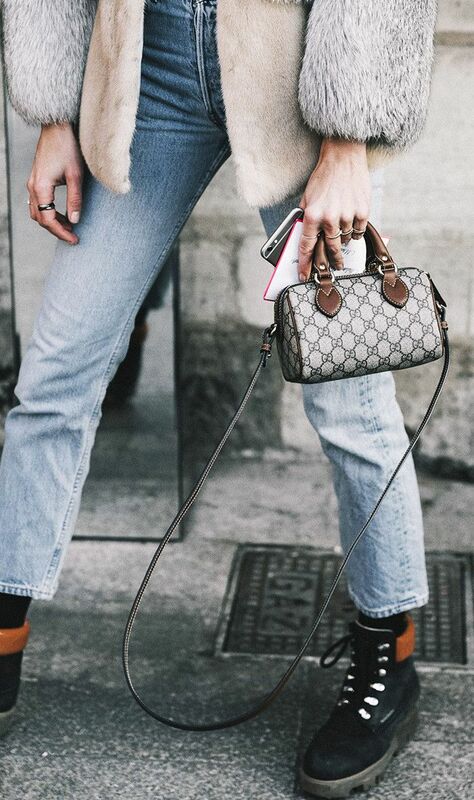 Read on for some inspiration, along with a little shopping so you can pull off the 2017 street style look over the next few months too. While winter may seem a bit early for lightweight poplin, plan to see this style everywhere this month. Cozy, practical, and oh so cool, puffer coats have been spotted all over New York and London. This is taking on the puffer coat as the most popular outerwear on the street style scene this year. While they may not be the easiest to keep clean, white shoes have been spotted all over NYC and London. For more key trends for S/S 17, see our guide to the only seven looks you need to know.